Jordan has been a part of the Shallowbrook team since 2014. Her love of horses began about as soon as she could walk while living in Del Rio, Texas where her parents would bring her to the stables to visit and feed the horses. Upon moving up North and after some serious begging, she began riding when she turned 7 at a local hunter barn. In middle school, Jordan transitioned to riding Arabians and Saddlebreds; exploring the disciplines of saddleseat, huntseat and recreational trail riding. This is where she met her first true equine love; Penny, a chestnut American Saddlebred mare. In college, Jordan attended Worcester State University where she began riding as a part of the school’s equestrian club. While riding with the club, she grew her love for jumping and the hunter and equitation disciplines. In 2011 as a sophomore, Jordan was elected President of the equestrian club. She wanted more for the club and wanted Worcester State to be able to offer more opportunities for equestrians in the area so she set out to transform the club into an IHSA recognized team. The whole process took the better part of a year; first needing to gain approval from student representatives, the student activities board, the school, and then finally seeking approval from IHSA to join. The team was accepted and began competing in Zone 1 Region 4 for the 2012-2013 season. Jordan captained and ran the Worcester State Equestrian Team from 2011-2013; getting to compete on the team herself for their first official year as a recognized IHSA Equestrian Team. While she attended school, Jordan rode at Shallowbrook; taking lessons and riding in horse shows while on her winter and summer breaks. She became a riding instructor during the last semester of her senior year. Jordan had always enjoyed working with horses and she quickly fell in love with teaching riding. 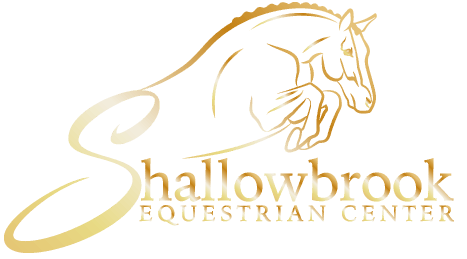 As a member of the Shallowbrook team, Jordan directs the lesson program, summer camps, vacation clinics, birthday parties and other events. She enjoys teaching a variety of students ages 3-65; beginners up through jumping 2’6. She specializes in teaching beginner riders and coaching equitation. Jordan takes pride in all of her students and loves to share her joy and passion for horses and riding. Jordan trained her own mare, Sweet Tea or “Ella”, who can occasionally be found helping with lessons and summer camp as well!